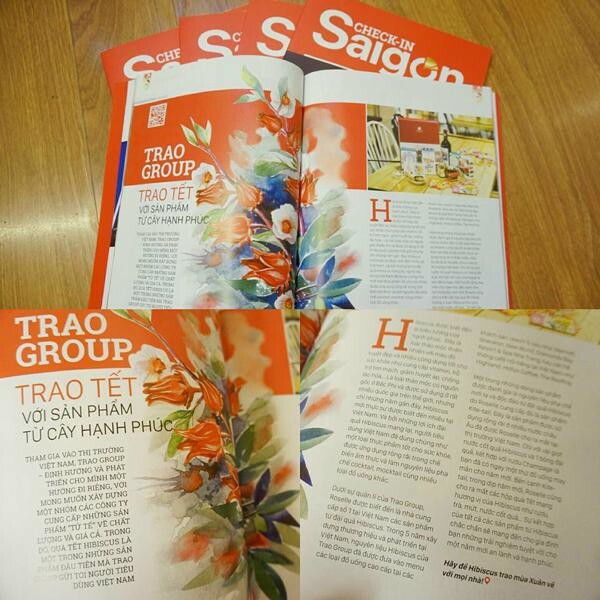 Entering the Vietnamese market Trao Group aims to carve a distinct pathway, they are creating a group of companies that deliver respectful products that give value not only in terms of quality and price, but in terms of sentimental and social value. The company’s first collection is Tet gift boxes containing a range of healthy, natural products derived from the Hibiscus plant. The Hibiscus flower is considered an emblem of happiness. This beautiful, deep red herb has many health benefits including the provision of essential vitamins and minerals to the body, products that support the cardiovascular system, and it is also rich in natural anti-oxidants. Originating in the North of Africa, the Hibiscus tree has now spread across the world. Hibiscus plant products have only become popular in Vietnam in recent times. The plant’s successes in Vietnam can be attributed to its many health benefits. Hibiscus plant products have continued to garner the interest of consumers in Vietnam, where they are regarded as a new and healthy ingredient for drinks and food. 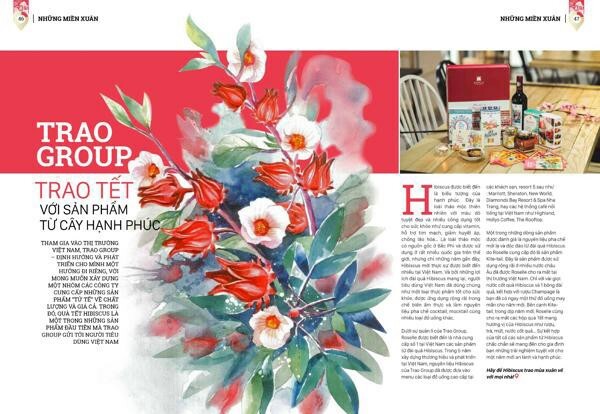 Under the management of Trao Group, Roselle is the number one supplier of Hibiscus products in Vietnam. In just five years, Hibiscus products from Trao group have made their way to drink menus at famous hotels and resorts including the Marriott, Sheraton, New World, Diamonds Bay Resort & Spa Nha Trang, as well as large, popular coffee chains such as Highlands Coffee, Holly’s Coffee, and The Rooftop. Kite-tail, a major product line of Roselle, is a contemporary ingredient made from Hibiscus sepals for mixing into drinks. The syrup, which is popular in Europe, has been redesigned by Roselle and introduced to the Vietnamese market. A combination of few drops of Hibiscus extract and a sepal goes smoothly with a glass of champagne to form a lucky drink for the Tet season. Roselle has also introduced a collection of Tet gift boxes containing a wide variety of Hibiscus products like tea, jam, sepals, extract, and wine. The meaningful integration of these Hibiscus products will bring a memorable experience to your family in the New Year season. Let Trao Group’s Hibiscus products bring the spirit of Spring to every home!